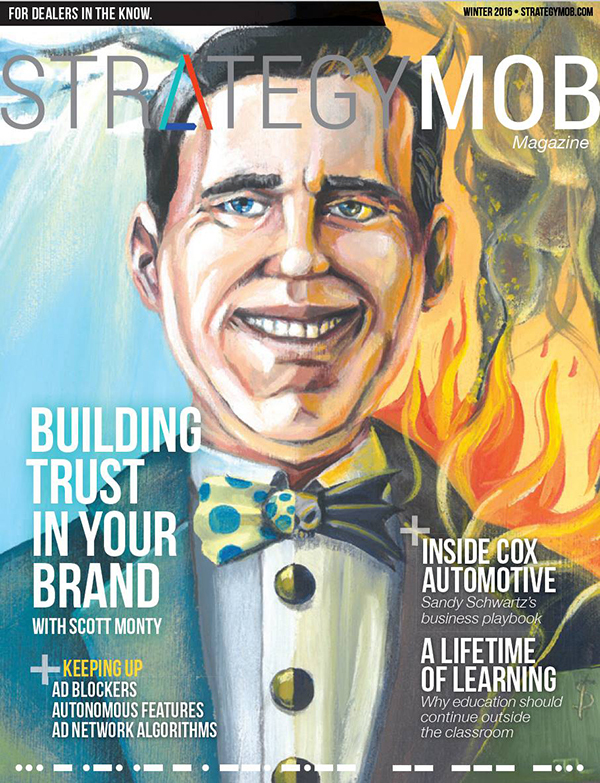 Painted cover for Strategy Mob Magazine – a portrait of Automotive Industry guru Scott Monty for the cover article: “Building trust in your brand”. The article discussed auto dealerships as they mature to modern businesses and away from old stereotypes of the “sleazy car guy”. 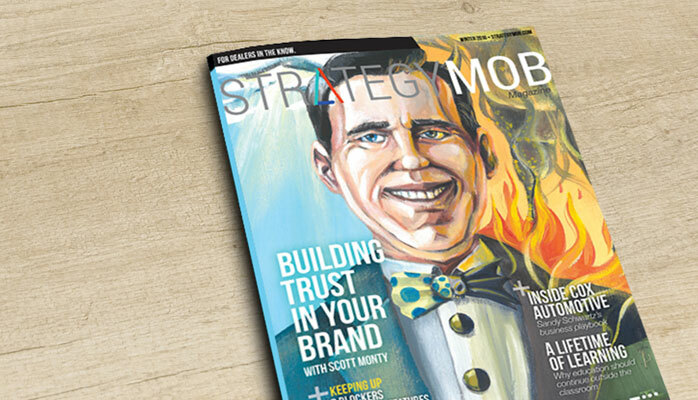 By building trusted through a dealership’s personal identity and brand with consumers and making sure dealerships live their brand up to the moment of truth when a potential consumer becomes a loyal patron.